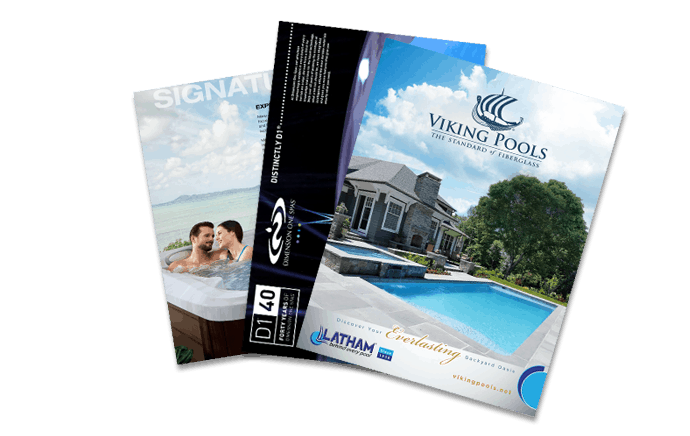 Aqua Pools Online > About > Blog > Is Your Pool Ready for Winter? You’ve made the most of the sunshine and warmer months, swimming and relaxing in your pool while the weather allows. But the warm weather has faded and winter is here. If you haven’t already, it’s time to start preparing your pool for cold weather. Shutting down your pool will help to protect it from colder temperatures so you can continue to enjoy the water when spring comes around. Following these steps to close your pool for winter will keep your pool in shape while it’s not in use. Scoop out leaves and any other debris floating in your pool with a skimmer net. Once the water is free of debris, brush the sides of the pool. Simply remove the net from the pole and replace it with the brush. Now it’s time to vacuum the pool. Turn on your automatic pool cleaner, if you have one, and let it do its job. Or run your manual pool vacuum over the floor of the pool just like you would when cleaning the carpet in your home. Pushing the vacuum in slow, steady motions will prevent it from stirring up anything resting on the bottom of the pool. Don’t forget to clean out the filter and remove any debris from the basket. And be sure to remove all toys and equipment from your pool if you haven’t done so already. Balance the pool’s water chemistry. The three main components to test are the pH, alkalinity and calcium hardness. The pH level should be between 7.2 and 7.6. Adding acid to the pool water will bring down the pH if it’s too high. For the alkalinity, an acceptable range is 80 ppm to 120 ppm. To raise the total alkalinity, a base should be added. In order to lower it, acid needs to be added. And finally, test for calcium hardness. An ideal range is 200 ppm-400 ppm. Adding calcium chloride to the pool’s water will raise the calcium hardness, if necessary. Make sure all hoses and equipment are free of water. If any water remains, it can freeze and crack the equipment. Blow out or drain all water. Check the manufacturer’s directions for your exact model for specifics on how to accomplish this task. Now that the pool is clean and any water has been removed from the equipment, it’s time to secure your pool cover over the pool. An automatic pool cover can be engaged with the flip of a switch. A pin-down cover must be anchored to the deck manually. Keeping the pool covered during winter will prevent debris from entering the pool and, with a safety cover, will provide safety from drowning. WARNING: Do NOT cover your pool pump or any other outdoor pool equipment, including the heater. This equipment is rated for outdoor use and is built to withstand the elements. It does not need to be covered. Covering it will retain moisture, which will cause the equipment to rust from the inside out.